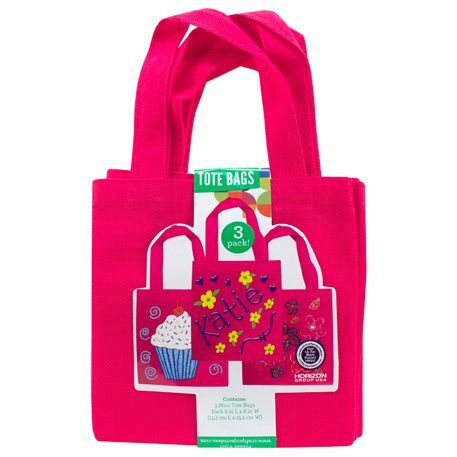 These pink totes can be decorated or used as is. Totes can be decorated with iron transfers, glitter, glitter glue, poms, acrylic jewels and much more. Children of all ages will enjoy decorating and using their own creation.